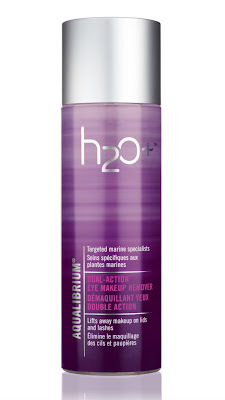 IAMBRIGITTE : H2O+: The Science of Marine Skincare is finally here! 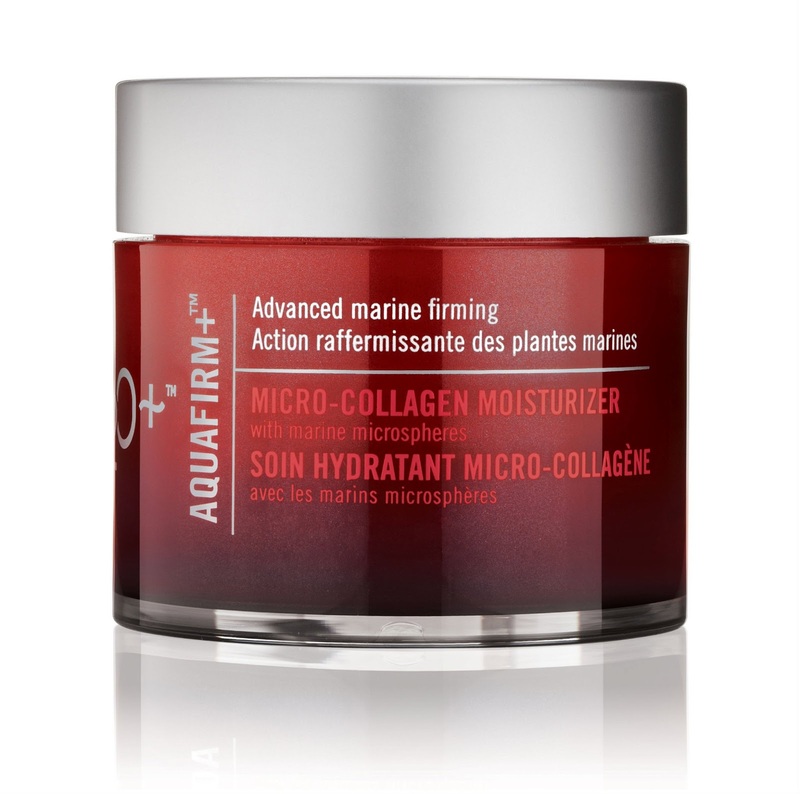 H2O+: The Science of Marine Skincare is finally here! H2O Plus Skin Care is now available in the Philippines. 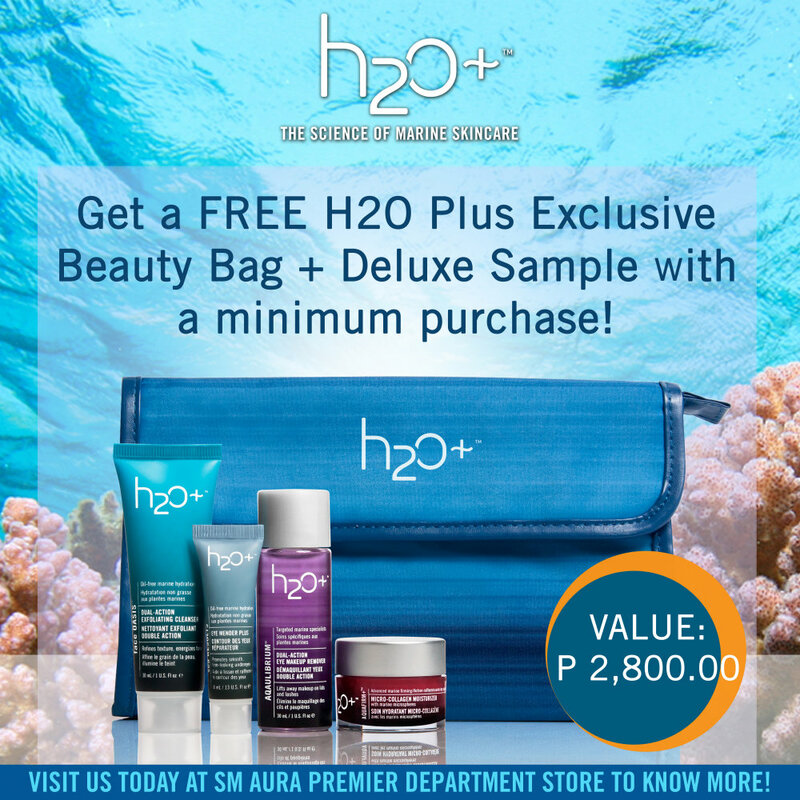 Their first counter is at the new SM Aura Premier Department Store in Taguig City. I haven't been there but I heard the new mall is so posh. Ugh, gotta check it out soon. Right, Mom!? H2O Plus carefully combines selected marine botanicals in water-based formulas, creating a harmony of technology and nature. The sea brings a brilliant balance to the skin. It's simple. It's essential. It's synergistic. With H20 Plus, immerse yourself in sea-derived skin care. H20 Plus has an extensive range of skincare collections which includes Aqualibrium, their skin-balancing system, Sea Clear, their oil-management system, Marine Calm for sensitive skin and many other ranges that targets specific skin concerns. I was able to try their skin hydrator lotion with SPF thru Sophie and I immediately fell in love with the smell, and how well it moisturizes the skin without the heavy-feeling. By the way, they have an ongoing promo now. 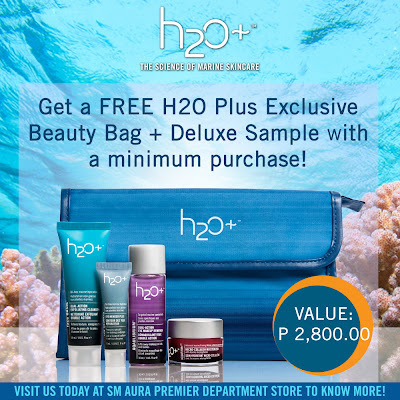 For every purchase worth Php6500, you get a free H20 Plus beauty bag with deluxe samples worth Php2800! The bag itself is really useful, it's big enough to carry my skincare items and my makeup when I travel and it's cute! Deeply cleanses and revitalizes skin with a gently refining, oil-free formula. An exfoliating fusion of fruit enzymes and algae helps sweep away dull surface cells, leaving skin luminous and ready to receive maximum moisture. I've only used this twice (I exfoliate 2-3 a week) and I love that it doesn't leave my skin dry like most exfoliating cleansers do. Consistency is rich and creamy and leaves skin squeaky-clean. Suitable for all skin types, this dual-action cleanser, formulated specifically for the sensitive eye area, effectively and effortlessly dissolves and lifts away stubborn makeup. Now this one's I've been using a lot recently. I was hesitant at first, but when I finally got to use it, I instantly loved it. It removes my eye makeup fast, no blurring of vision after and no greasy-after feel. And yes, no allergic reaction. I've used a lot of makeup removers but this one's my favorite (for now). I am definitely going to get a full-size of this soon. A rejuvenating contour cream tailored to reduce under-eye puffiness and wrinkles, delivers a virtual matrix of penetrating hydration through the new Marine Micropatch Technology. 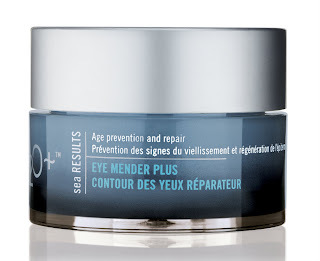 Experience a 22% decrease in wrinkle depth and 19% increase in skin firmness with 28 days of continued use. This silky firming cream visible fights fight lines and loss of firmness with collagen-boosting moisture.